The colorful panels create a playful backdrop for games and playful activities for the students and surrounding community. 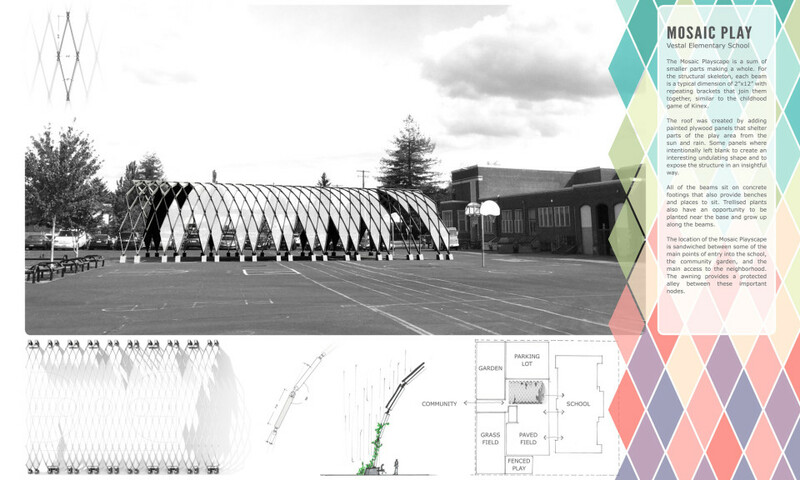 Propel Studio collaborated with Vestal Elementary School to design a concept for a sheltered play area at the back of the school. 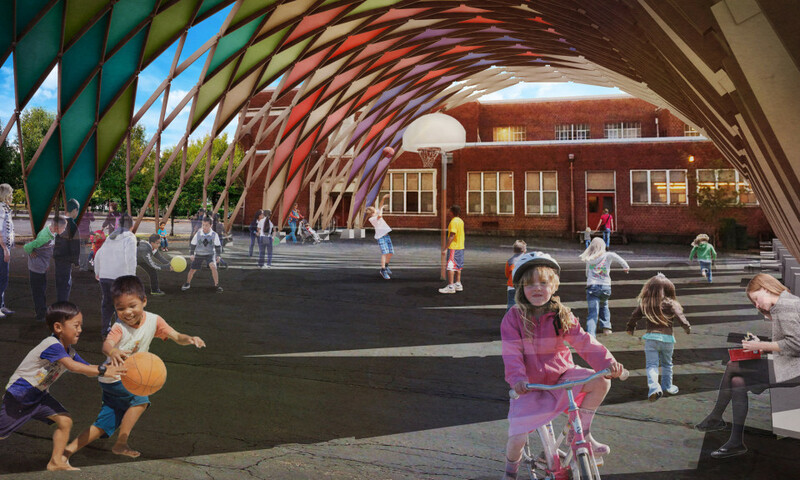 The concept creates a large vaulted space, big enough for a basketball court as well as able to host community events and even a local farmers market. The structure is comprised of simple dimensional lumber, with each member measuring a standard 8' long to eliminate the need for cutting and waste. The panels provide shelter from the rain where needed, but dissolve towards the base to allow for pedestrians to fluidly move into and out of the space.